Community, Where the Heart Is. The prompt for #reverb10 today is community. Personally I feel like this is a great prompt because I have discovered more than one community this year. The first community I have obviously discovered this year is the #PRStudChat community. While this is an online community, mainly on Twitter and LinkedIn, this community has helped me out tremendously. I have grown and gained so much knowledge as a public relations student from just participating in the monthly chat. I discovered #prstudchat back in March or April and I have loved every second of it. I may miss days of tweeting, but I do check up on this hashtag quite often. The reason I love this community is because students ask questions and it allows us to engage with other students and professionals. The community would not be possible without Deirdre Breakenridge (@dbreakenridge) and Valerie Simon (@ValerieSimon). They have allowed me to moderate one of the monthly chats and co-host the #PRStudCast with Harrison Kratz (@KratzPR). If it was not for #PRStudChat I would not know these three amazing individuals! Thank you guys for all of the many opportunities you have given me this year. I cannot wait to see what 2011 brings for the community. 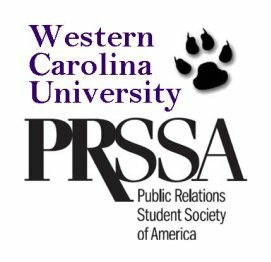 Another community I have really discovered and utilized this year is PRSSA. I have known about PRSSA since the first day I changed my major and attended my first public relations class. I did not realize until this semester how valuable PRSSA really is to my life and growth as a public relations young professional. After attending National Conference, I have realized what my passion truly is: public relations. PRSSA has connected me with so many great people and I want to give a few of my fellow PRSSA friends a shout out: Beth Barnard (@elizabethgrace7), Joelle Eid (@JoelleTweeted), Mike Blight (@MichaelBlight), Simon Oh (@SimonOh) and obviously Harrison. The list goes on, but these individuals have helped me out a lot in the public relations field, and have been amazing friends. The knowledge I gain from PRSSA is endless and has helped me out a lot in this industry. Obviously I will be joining PRSA when I graduate, but as a student I do not know where I would be today if I had not decided to join PRSSA. I encourage all of my fellow public relations classmates to join! It is very helpful and you will love every minute of it. While there are more communities I have discovered this year, these are my top two favorites. I have learned and grown from #PRStudChat and PRSSA in so many ways and I am excited to see what 2011 has to offer! Thanks Tia! I love PR and cannot wait to graduate and put my knowledge to use! 🙂 I will have to check out your posts!